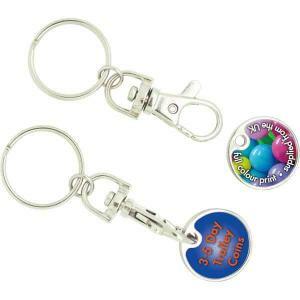 When there is to much information to fit onto a regular trolley coin, this is the answer!The Trolley mate is your trolley coin keyring with the addition of a second keyring fob for extra branding. Lots of branding space avaliable for plenty of information and logos. 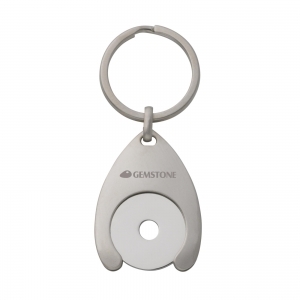 Made in the UK from 100% recycled plastic. 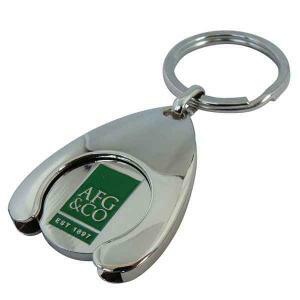 12 sided Trolley Coin also avaliable. Please note: prices are based on white plastic. Additional charges apply for colour plastics. 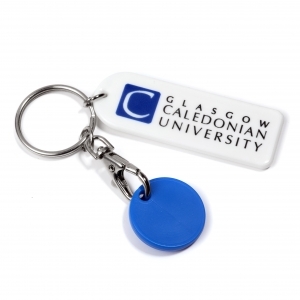 To order an unprinted Trolley Mate Keyring Rectangle, please complete the details below.